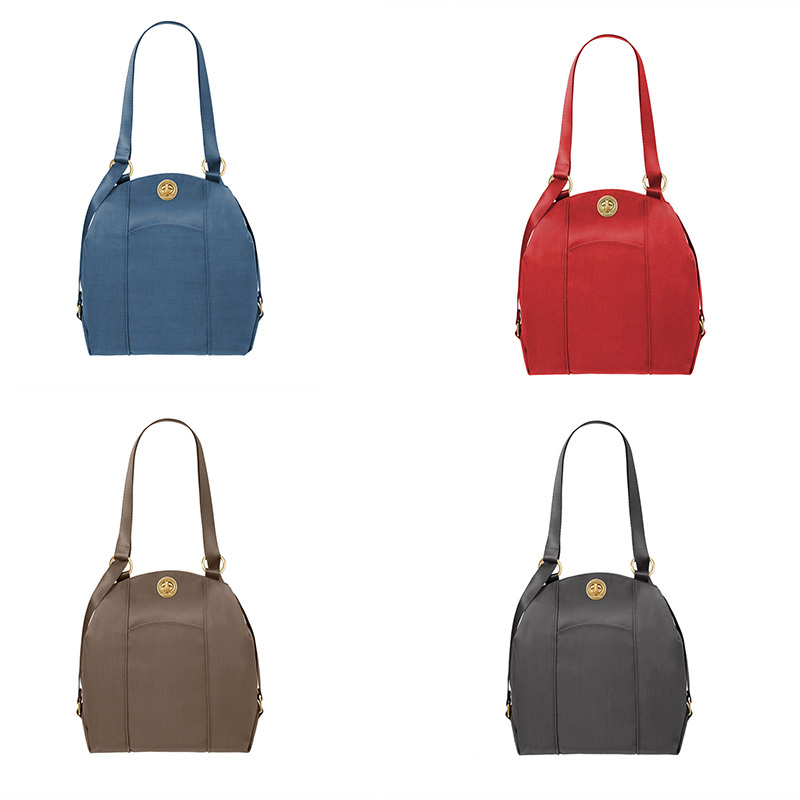 With the Mendoza convertible backpack, Baggallini offers a stylish shoulder bag when you want it with the convenience of a backpack when you need it. 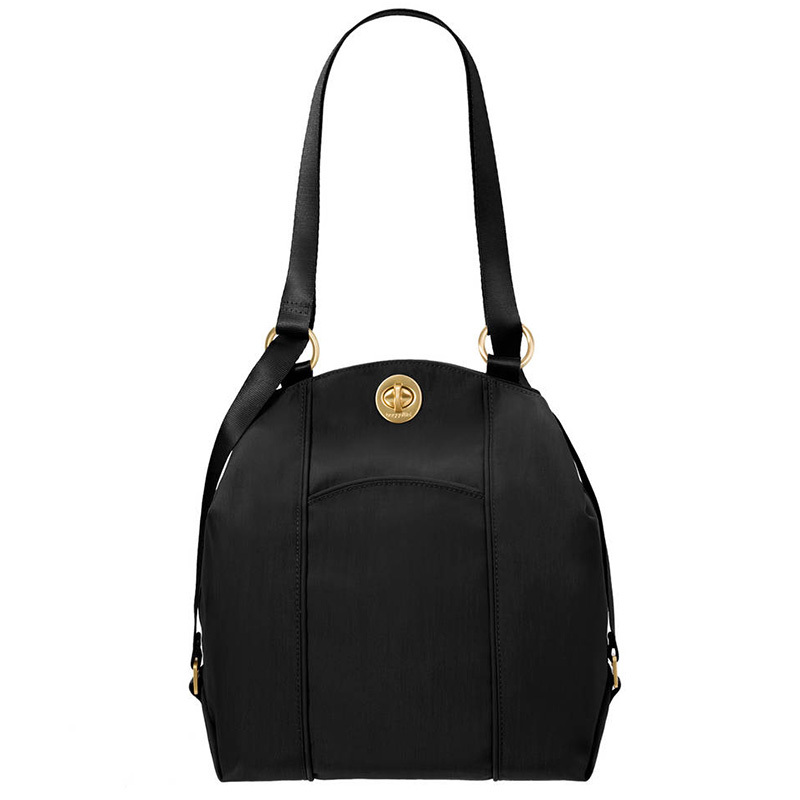 The Mendoza includes a 52 inch adjustable crossbody straps that convert to backpack shoulder straps. Inside the bag you’ll find useful interior organizers and multiple pockets for storing daily essentials. Front outside pocket is perfect for small items like a phone, tickets or passport. Water resistant nylon material looks sophisticated and sleek. Bag can be dressed up or down. Shoulder straps aren’t adjustable when used as a backpack.